“She’s so pretty I” Two pieces. Base with antelope feet and king vulture. 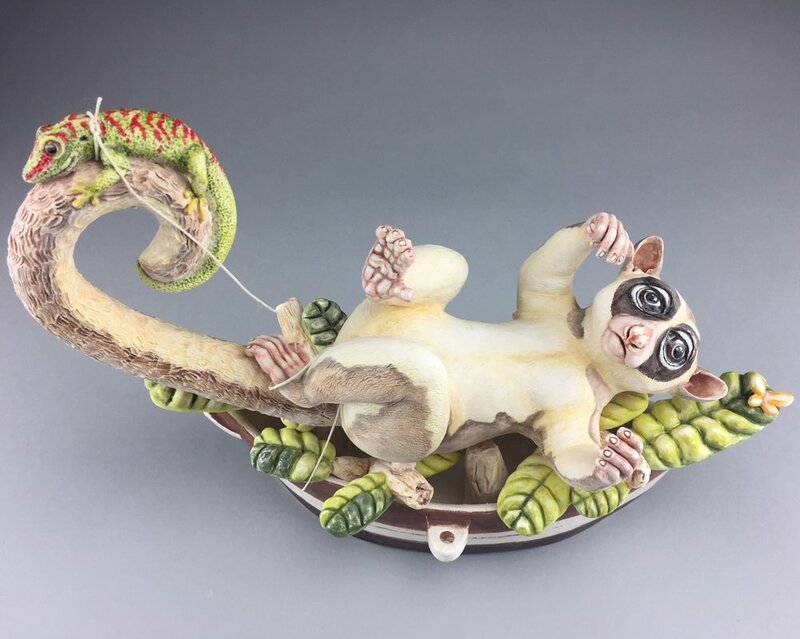 Hand built low-fire ceramic sculpture. Commission for the armadillo man. In private collection. Mini series. In private collection.